Jeans collection 2012 – small update 2 Christmas is coming! 1) Pink sweater with lace collar, decorative brown satin bow in front. This top can be worn by L-bust DDII/DDIII/DDS body too as the pink material is a slightly stretchy knit material. 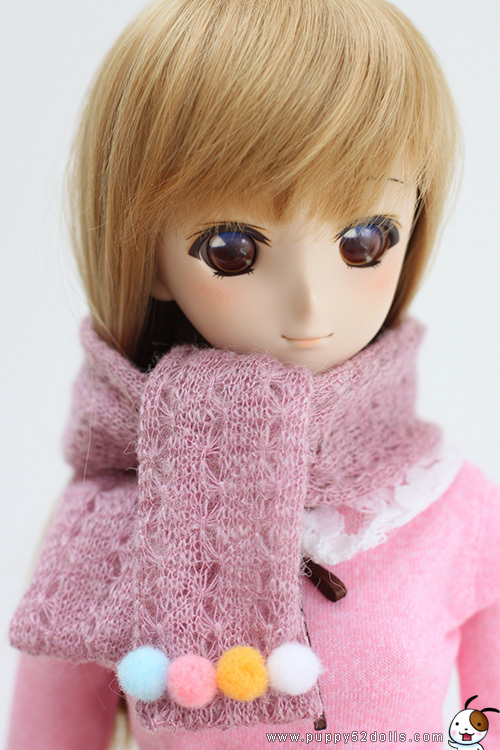 2) Dusty pink fluffy scarf in a fuzzy knitt material with 4 tiny pompom hand stitched into one end of the scarf. 3) Pleated skirt in a quality cotton checker fabric, inner waistband is lined in white. 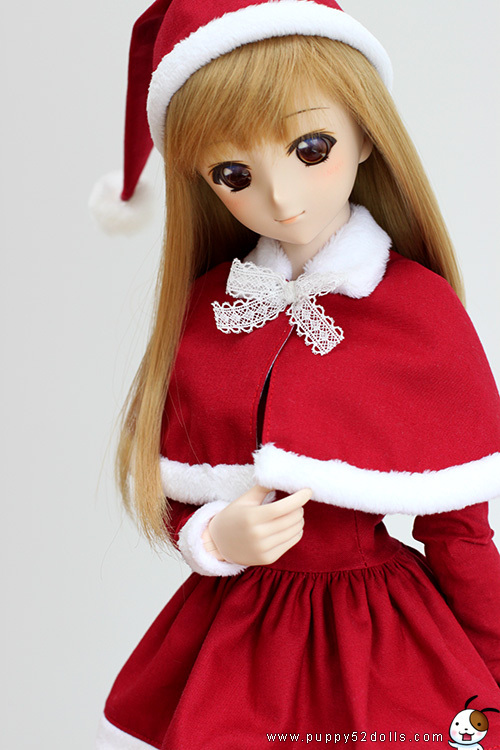 The fabric/red thread should not stain, but do check time to time, rather than leaving it on your dollfie for months without checking. This skirt can be worn by DDII/DDIII/DDS body too, as the waist size is similar. 4) White underskirt with a lace trim, elastic waistband allows it to be used with other sizes. Meant to be worn as a precaution and different look under the pleated skirt. 5) Santa’s helper’s hat, made with same red fabric as dress, cape and sleeves. 6) Santa’s helper’s tube top dress, Made for M-bust only. Lined inside with white cotton, and zig zag stitching on the edges in white thread. Close at the back with doll velcro and clear snaps. 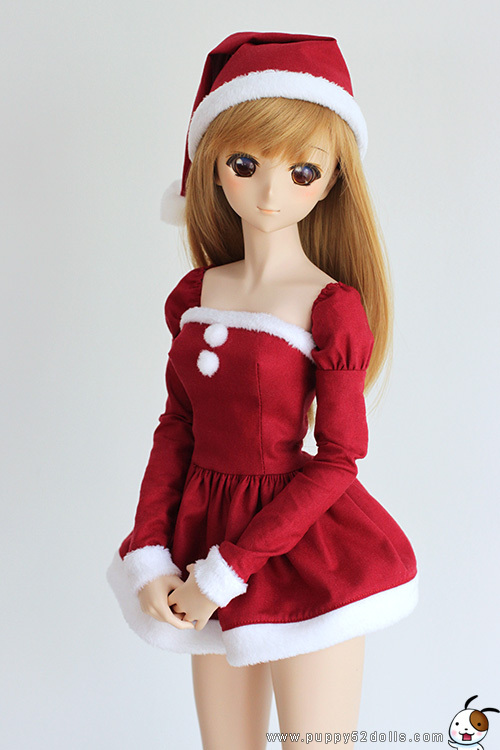 7) Santa’s helper’s sleeves, can be worn with the dress. 10) White socks with a couple pink pompoms hand sewn into front of socks. Socks can be worn in a couple ways for a different look.